Police have ended a dramatic four-hour siege in Bermondsey, London, by tasing a man armed with a large knife who had barricaded himself into a residential home. The unnamed man, who is in his 40s, was arrested at Lyly House in Burbage Close, after police got him out of the property on Friday afternoon. Armed officers and paramedics spent at least three hours waiting outside a five-story building trying to talk the man out. He is thought to have been alone. Police said they believe he was wielding a large knife. Officers battered down the property’s door at around midday. He has since been detained and is being held at a South London police station. UPDATE: Taser used as police force entry to end Bermondsey siege. "Officers forced entry to property at approximately midday. A Taser was discharged. There were no injuries," a Scotland Yard spokesman said. Crowds of onlookers were held back by police tape during the siege. 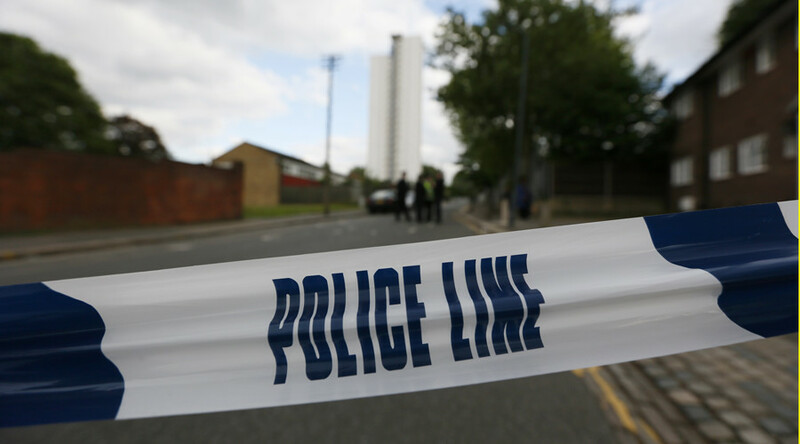 Local resident Jack Townsend told Southwark News that he thought there was “a riot in Bermondsey” when he woke up and saw armed police swarming around the area. “I looked out the window at around 10am and saw loads of police,” he said.